A distinguished owl gazing everything belong from the top of a tree. 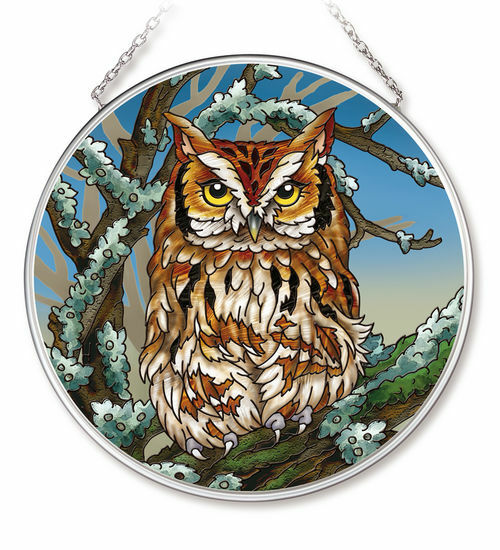 This beautiful stained glass owl suncatcher will brighten any window or room. Amia stained glass suncatchers include hand painted ripple glass with removable chain.